Nothing says "here come the holidays" more than a vintage Vespa sidecar rig with all the trimmings. Things are still nuts at the office. There's no time for a longer post. 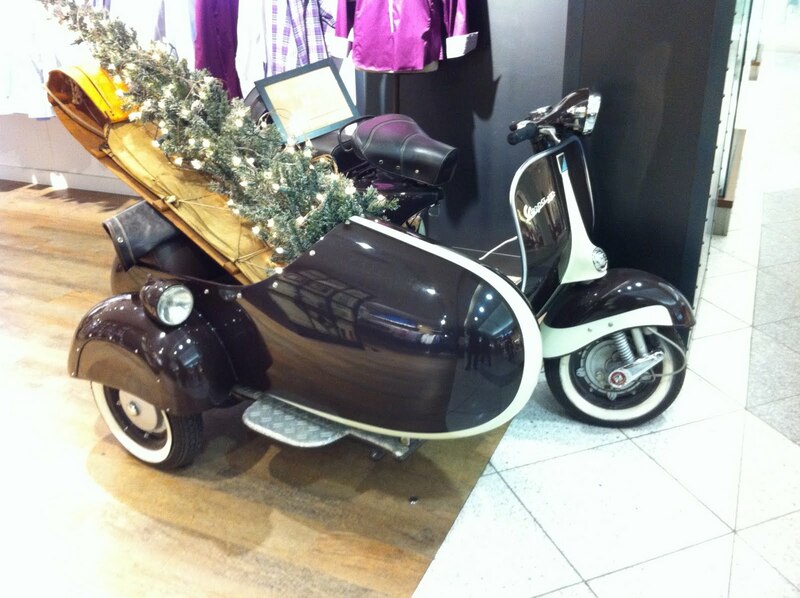 This gorgeous Vespa has been a fixture in a clothes boutique in the Place Ville Marie mall for more than a year now. I've taken a picture of it in the past but I'm not sure that I've posted it here. It will have to do as a holiday decoration for the ScootCommute until I have the time to post something more substantial, such as responding to Dar's challenge to post on the theme of 5 local road trips and dream trip challenge. If you've got a scooter or motorcycle blog, take a look at the challenge and consider joining in on the fun. I'll get around to it eventually, maybe on the weekend. In the meantime, spread the holiday cheer folks! Wow what a gorgeous scooter, I bet it's sad because it's not out on the road. Great picture, it's very festive. We have been crazy at my work too and I don't think it is going to change any time soon either. On the upside though I am almost ready for Christmas. I am thinking of renewing my motorcycle insurance because I am finding my scooter too small now. :( I knew this day was coming very close, it makes me sad, but it has been a huge year of growth for me. Don't sweat the challenge it's just fun to dream & think about warm weather again. i'm not fully set and ready for xmas yet.....too busy reading&writing posts....and riding the gts! must get of my backside and get sorted out. happy christmas to you and all your family! That's a pretty nice looking Vespa. I too need to find time to respond to Dar's challenge. Work is too darn busy. I work for a criminal defense attorney ........ when the economy is down, we are booming with business. Sad really. Nice catch, what a lovely scoot. I keep working at Dar's challenge, too, and I am curious what you will come up with. Happy Holidays to you! Dar,it's time for your scoot to teach someone else to ride. You need to set it free. Len, happy Christmas to you. I wish just enough snow for a white Christmas, not enough to get in the way of your riding. Trobairits, law is a demanding mistress. Here's hoping that you get a decent break for the holidays. Sonja, I am looking forward to a get together in Vancouver in March or April. I should have dates soon. Orin O'Neill mentioned that he would ride up from Bellingham. With a little luck, we'll have a really interesting blogger meeting. 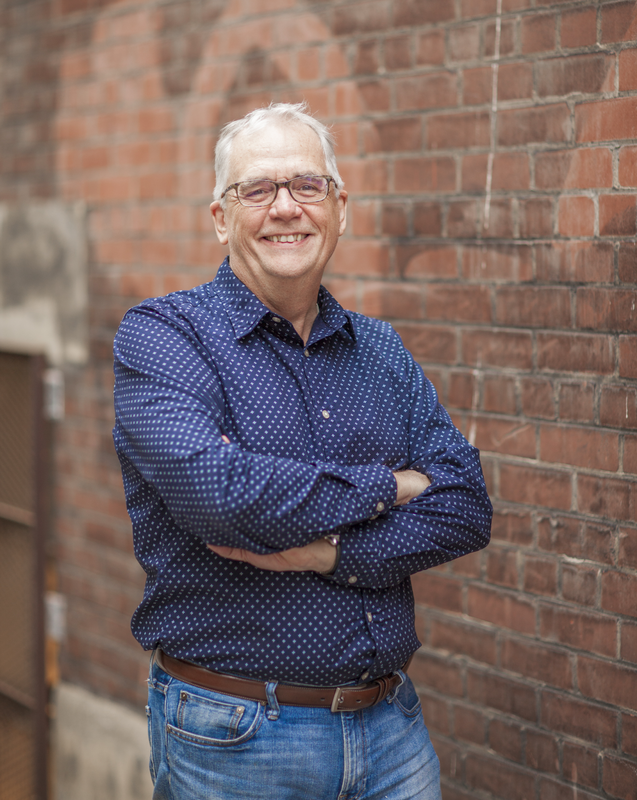 PS re Vancouver: I'm hoping that I'll get to meet Dar, Motorcycle Man, Bobskoot, Sonja, Roland, Dave Dixon, and Orin O'Neill. I'll reach out to you all when dates become clearer. Merry Christmas! so far our winter has been a bit cooler than normal with frost in the mornings. No white Christmas for us, we generally get snow during the first few months of the year. Not much and usually gone in a day, or so. I know you were planning on a March or April visit BUT there is a BIG scooter rally in Victoria on the May long weekend. You will meet mostly Vespa Riders from all over, including Seattle, Tacoma, Alberta and Bellingham. Orin usually attends and this time Dar will make an appearance.